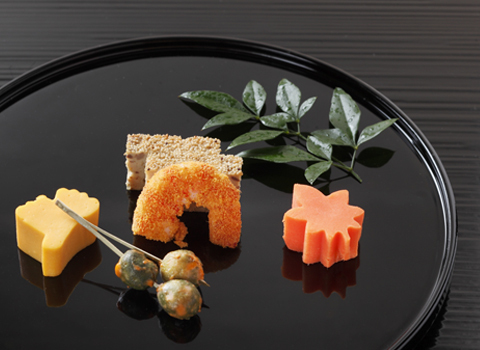 We offer premium quality meals with seasonal Japanese ingredients using fresh and seasonable vegetable and fish. 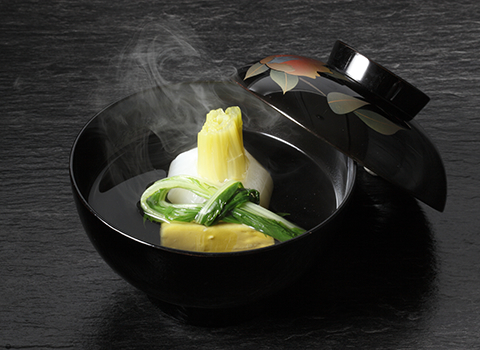 Beautiful decorated dishes reflect the Japanese four seasons. 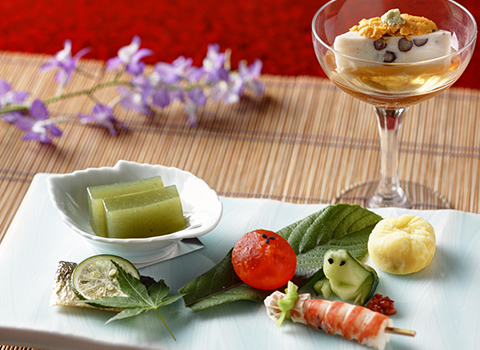 Kaiseki dinner course can consist of anywhere from 6 to 15 different kinds of food. The kind of food served will change according to the different months, seasons and what is freshly available. Nakai(waitress) will serve at your table. Menu changes 18 to 20 time in a year according to the season. 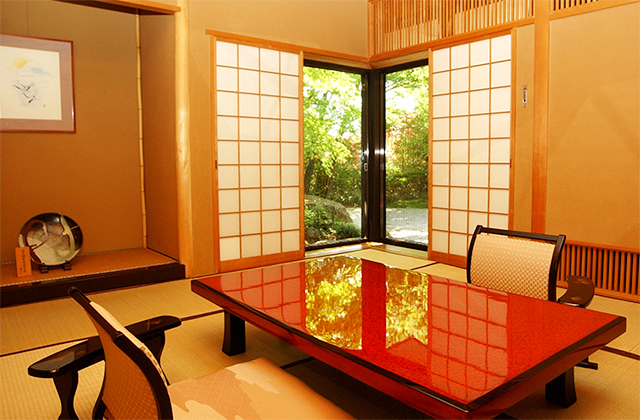 "Sansui-tei" is for the east wing and Japanese-style room with private open air Onsen private use. 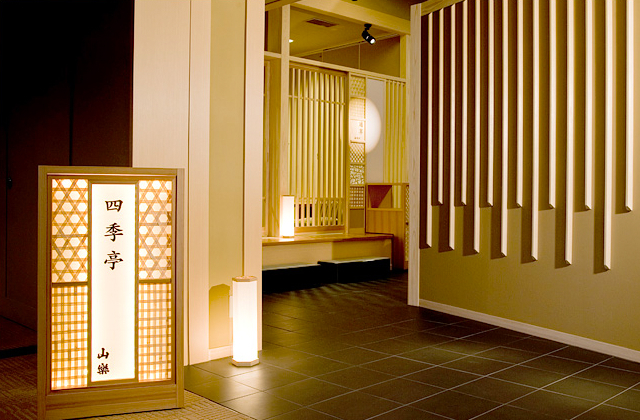 We have 5 full private traditional Japanese-style rooms. Enjoy your dinner in elegant atmosphere. * You can choose your eating room from own room or "Sansui-tei" if you stay the east wing or Japanese-style room with private open air Onsen. 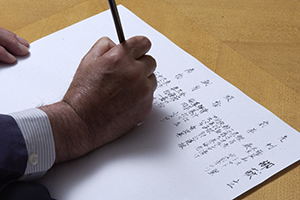 "Shiki-tei" is for the west wing private use. We have table rooms, rooms floored with tatami mats and rooms with low table over a hole in the floor. 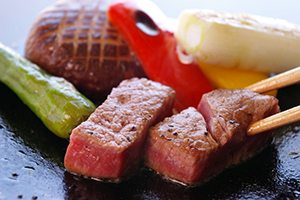 Enjoy your dinner at modern Japanese-style restaurant. * We appoint your eating room own room or "Shiki-tei" if you stay the west wing. You can relax and enjoy dinner and breakfast in the comfort of your own room. Availabe up to 4 person. 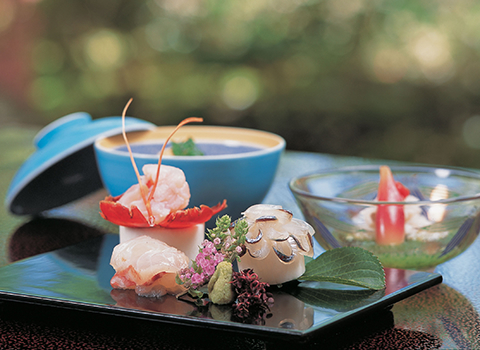 ※We offer you traditional multi-course Japanese dinner and Japanese breakfast. ※All the plan includes dinner and breakfast.  ※If you have any allergy for specific ingredients, please let us know before your arrival. ※Both restaurants has limited number of the tables, we may not able to proceed with your request. In that case, we may assign the eating place to your own room. Please confirm at the reservation.